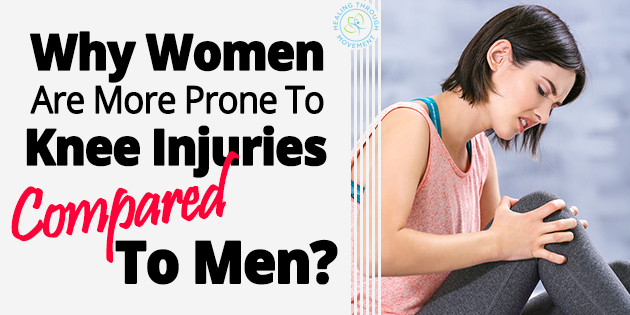 Why Women Are More Prone To Knee Injuries Compared To Men? Over the last few decades, females have become increasingly active in competitive sports at all levels. Even young females have become more interested in athletic sports programs such as volleyball, basketball, soccer, football, lacrosse, hockey, tennis, marathon running, and even elite sports such as cross-country and downhill skiing. 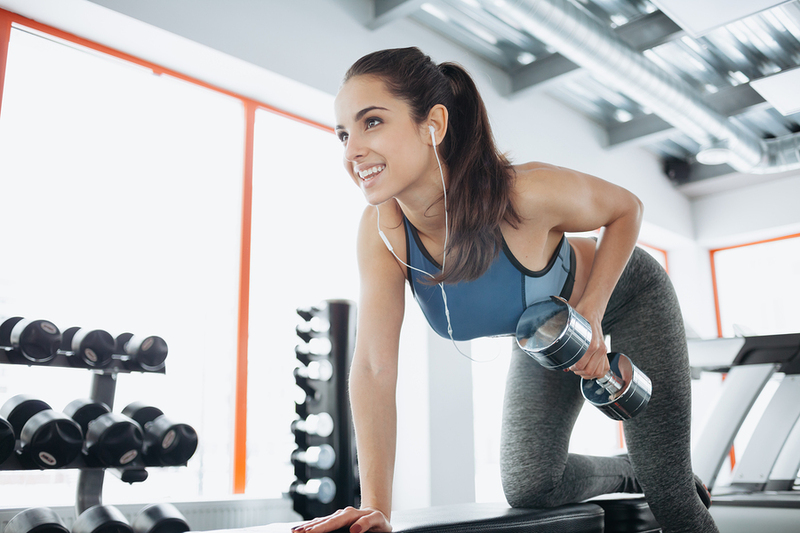 But as more women participate in these athletic events, experts have also noticed an increase in the number of musculoskeletal injuries that occur among active athletes. Statistics indicate that women are more prone to knee injuries, particularly sprains or ruptures of the anterior cruciate ligament (ACL) compared to men. In the United States, it has been reported that about 20,000 to 80,000 high school female athletes experience ACL injuries each year especially in the sports of soccer and basketball. The anterior cruciate ligament (ACL) runs diagonally through the middle of the knee and connects the thigh bone and the shin bone. It acts to provide stability for the knee in order to prevent hyperextension. It does this by limiting the forward movement of the shin as well as its inward rotation under the thigh. Some high-impact sports such as soccer, football, basketball, volleyball, tennis, lacrosse, downhill skiing, and gymnastics which involve planting and changing directions impose more stress on the ACL and places the players, particularly females, at a greater risk of incurring an ACL injury. For instance, a gymnast may tear her ACL during a floor exercise if her position during her rotation is such that her hip is turned inward, her thigh bone is turned outward, and her knee is bent at about 30 degrees. When she suddenly falls forward, immense stress is imposed on the knee which causes an injury in her ACL. Those who participate in downhill skiing also have increased risks of incurring knee injuries. Skiers can move at tremendous speed and as they go forward, they have their knees bent and extended. The knees carry the full weight of the body as the hips are positioned much lower than the knees. When they suddenly go out of balance, the knee absorbs the full shock of the fall, causing an ACL injury. Those who tear their ACL will usually have loose knee joints at the area affected. This places them at an increased risk for more serious injuries and even irreparable knee damage in the future. According to studies, women are more prone to ACL injuries compared to men. Statistics show that women are four to six times more likely to suffer non-contact ACL injuries. The Centers for Disease Control and Prevention report that in 2006, more than 46,000 female athletes experienced some form of ACL injury. Almost 30,000 of this number required reconstructive surgery. Female athletes tend to develop strong muscles in the front of the leg (quadriceps) but weak muscles behind the leg bone (hamstrings). This imbalance causes women to rely on their quads whenever they slow down from a sprint. The slowing down motion tends to tighten the ACL and cause an immediate instability in the knee which can lead to a possible sprain or injury. In contrast, male athletes generally use their hamstring muscles whenever they decelerate. This technique protects the ligaments of the knee and prevents an ACL injury. The common habit among women has been observed by experts even among young girls of the ages of 8 and above. If female athletes were trained better at an earlier age and were taught how to strengthen their hamstrings, they could reduce their risks of developing ACL injuries. Another bad habit observed among women is that they tend to keep their legs straight whenever they jump or land. This imposes demands on the knee to absorb the shock for up to four times of the woman’s body weight. But if these movements were performed with the knees bent, the force would drop by about 25 percent, lessening the strain on the knees. Aside from straight-legged landings, female athletes also tend to land in a flat-footed position rather than landing on the balls of their feet. When the calf muscles do not absorb the force of the landing, the knee tends to buckle inward and this tears the ACL. Women are built differently and they have a wider pelvis compared to men. Because of the wider pelvis, the thigh bones are more sharply angled downward (the “Q” angle). This causes alignment issues because the knee tends to bend inward when they land. As a result, more pressure is applied to the medial aspect of the knee which can trigger an ACL injury. Women’s ligaments tend to be more lax and the muscles surrounding the knee tend to be weaker compared to men’s. Some experts have called this variance the “ligament dominance theory.” The theory suggests that when women perform athletic movements, they depend more on their ligaments rather than on their muscles. Combined with the finding that women’s tissues are more elastic or flexible, certain sharp or sudden movements place more pressure on the ACL. This finding could also be one of the reasons why women experience more ACL injuries than men. Another theory that attempts to explain the reason for an increased risk of ACL injury among female athletes is the “trunk and leg dominance.” Some experts suggest that men generally exhibit better control of the trunk muscles. On the other hand, women rely more on the leg muscles during performance situations. Again, the latter practice tends to place more strain on the knees. One study suggests that women are more likely to experience an ACL injury because of the fluctuation in their hormonal levels, particularly of the hormones estrogen and relaxin. These hormones are known to render strength and flexibility to the ligaments. It has been suggested that the hormonal fluctuations that occur in connection with women’s monthly cycles, may affect the ACL strength. Some studies have shown that participation in strength training and conditioning by female athletes can significantly reduce their risks of developing non-contact ACL injuries. In one particular training program which was conducted among skiing competitors, personnel, and instructors, it was observed there was a 69% decrease in knee injuries among those who participated in the training. It has also been shown that female athletes who are trained to rely more on their hamstring muscles rather than on their quadriceps could reduce their risks of incurring ACL injuries. Another study found that female athletes could strengthen their muscles and prevent ACL injuries if they participated in two specific exercise programs: Prevent Injury and Enhance Performance Program (PEP) and Sportsmetrics. The programs consist of a series of exercises that include stretching, strengthening, plyometrics, and agility exercises. Weight-lifting or resistance training are also helpful. The International Olympic Committee (IOC) likewise recommends that coaches of female athletes should ensure that the latter are enrolled in injury prevention programs that emphasize strength training for hamstrings; core strength conditioning; proper landing techniques; and exercises that improve overall coordination, balance, and agility. While women can’t do much but accept their anatomical build up and hormonal mechanisms, they can still control their athletic performance by learning the right techniques that come naturally to men. With the proper education, training, and coaching, they have the chance of limiting their risks of ACL injuries. They don’t have to play in fear of injury or be disadvantaged by their differences from men. They can equip themselves with the strength and conditioning they need to excel in their chosen sport. If you are looking for a fast, simple, safe and effective program to eliminate your stubborn knee pain and Patellofemoral Syndrome, then check out the Patellofemoral Syndrome Solution program.